Do you want a fresh new perspective to showcase your brand or destination? Are you looking to leverage the credibility and influence of one of the top social media and storytelling teams in travel? Multiple Winner Best Travel Blog! Named one of the Top 10 Travel Influencers by Forbes Magazine. The Planet D is an established brand receiving over 3.2 Million Views annually! Dave and Deb travel the globe showcasing their real-time journey and broadcasting their stories through professional travel writing, photography, and engaging social media offering advice, inspiration and valuable information regarding destinations around the world. Named best travel blog & photo illustration of travel by the SATW, we have a proven track record of telling engaging stories of our travels and experiences through our blog and real time Social Media. ThePlanetD specializes in brand ambassadorships. By working with companies that mirror our core values we develop targeted, engaging campaigns that reach the right market for your brand. ThePlanetD is known for our award winning photography. We create professionally edited, high resolution photos that can be used for social media but also are available to be licensed for advertising or print. Let ThePlanetD reach a new audience for you. With over 2 million followers across all major social media channels, Dave and Deb not only have the numbers, they have the engagement. With a well-rounded social media following you can be sure you'll reach your target audience. Dave and Deb have spoken around the world about both the business of travel and empowering people to live their dreams. From Keynote Addresses to educational sessions our presentations aim to inform, entertain and inspire. Dave and Deb are more than talking heads in their videos. They create exciting, entertaining and informative videos using professional editing techniques and graphics showcasing the destination through their dynamic personalities. We have over 50 brand and destination campaigns to our credit and aim to showcase your campaign as an experience. As spokespeople and international ambassadors, The Planet D have had the opportunity to work with some of the world’s top companies and brands – while discovering more than 100 countries on all seven continents. American Express Ambassadors -ThePlanetD was been working with Amex since 2011 and became Ambassadors in 2012 – 2015. The Planet D still works with American Express on contract. Expedia Viewfinders – The PlanetD was been working with Expedia.com since 2011 and became Viewfinders in 2012 – 2015. Other Clients – ThePlanetD has worked with the other clients above in paid campaigns or extended contracts ranging from 1 month to 1 year. ThePlanetD has worked with destinations around the world showcasing their beauty and adventure to their readers. Each campaign is tailored to the destination and Dave and Deb work hard before the trip to build an itinerary that will resonate with their readers and show off the destination to the fullest. They've developed long term campaigns lasting more than a year, recurring campaigns where they revisit a destination during different seasons and they have taken part in shorter one-off advertising initiatives to promote an event or activity. 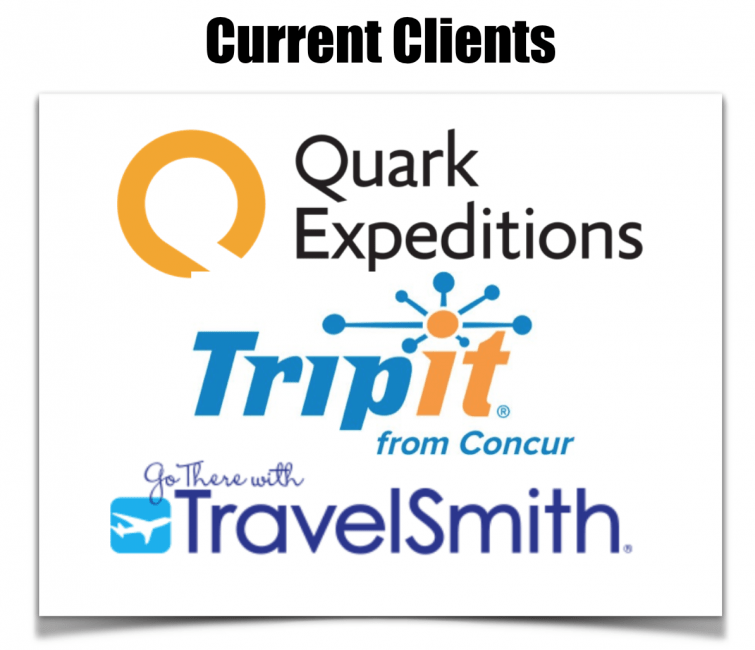 ThePlanetD has worked with numerous travel companies and brands related to travel. Campaigns are designed to suit the company's needs and to optimize engagement and motivate readers to take action. ThePlanetD works with brands in several capacities from short one-off campaigns to ongoing partnerships. They often work regularly with several of the companies below revisiting the business relationships to help market events and promotions. ThePlanetD Partners with companies is all capacities. We believe in building relationships and will take occasional press trips and product sponsorship or travel in exchange for media coverage should the brand suit our niche. Below are select partners that we've worked with. Dave and Deb are well-known travel personalities both online and in mainstream media. They've been featured in major Canadian and international media outlets such as the Today Show, BBC World, CTV's The Social and CanadaAM. Highlights of their online and traditional media features include Yahoo Travel, National Geographic and The Toronto Star, National Post, The Irish times and Radio 1 Ireland.